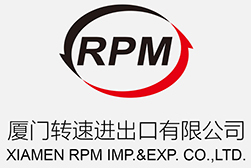 Rimpex Rubber supplies Fluid Fluorosilicone Rubber FE2811, China origin. Fluid Fluorosilicone Rubber FE2811 is some viscous fluid of Polymethyl(3,3,3-Trifluoropropyl)Siloxane] (PMTFPS) with hydroxy end capping. Fluid Fluorosilicone Rubber FE2811 has wide temperature range -55~205℃ for various usages as high molecular weight fluorinated silicone rubber has. Fluid Fluorosilicone Rubber FE2811 has excellent performances of fuel oils tolerance, chemical reagents tolerance, etc. Fluid Fluorosilicone Rubber FE2811 doesn't require special processing shaping facilities like heating, pressing, etc. It gives great convenience for user. Remarks: All above datas are representative values. Fluid Fluorosilicone Rubber FE2811 is storaged in polyethylene PE plastic cask, net weight 1Kg/cask. Fluid Fluorosilicone Rubber FE2811 is carriage of non-dangerous goods, should avoid vibrations, heating, wetting. Fluid Fluorosilicone Rubber FE2811 should be storaged in clean, dry, cool storehouses.